An inspirational process, that offers children and young people opportunities to achieve confidence and self esteem, through a hands on learning experience in a local woodland. 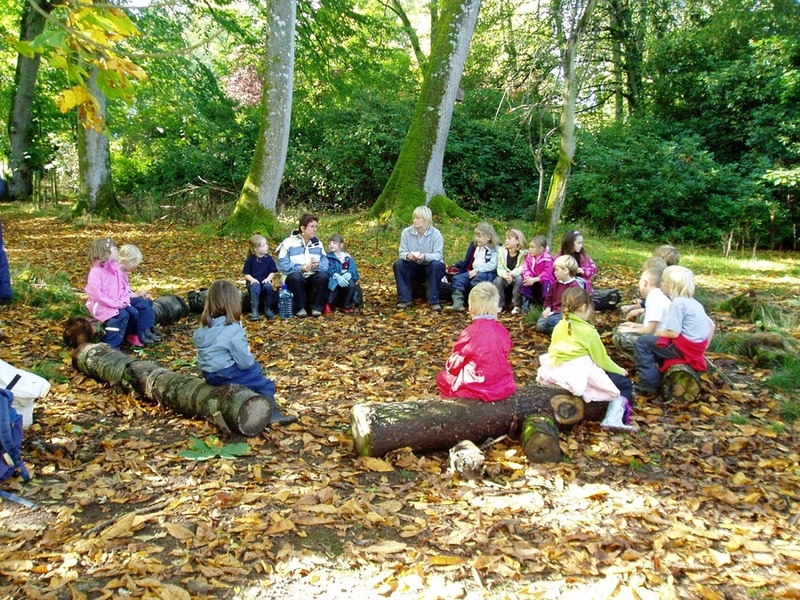 "Forest School is an inspirational process, that offers children and young people opportunities to achieve confidence and self esteem, through a ‘hands on’ learning experience in a local woodland.’ (It is also possible to do this in some school grounds)"
Meet and Greet – Practitioner greets group and assesses needs. risk assessment with group. At the beginning of a program certain procedures may need to be practiced through games e.g. behaviour around fire area. Travel to site – Certain procedures may be in place for this e.g. walking on a rope chain, crossing roads, singing a song, carrying kit. Idea ‘seeds’ – Practitioner gives an introduction to the session using a story, song, game, activity, special item, puppets, characters etc., to ‘seed’ ideas in the children. The specific ‘seed’ would be selected based on observations from previous sessions. Free Choice – Children choose which activities they would like to engage in, adults may model certain ideas and skills to support learning. Circle time – Time at the end of a session to reflect and share. Closing – A song, action, story, activity that takes place to signify the end of the session. At the beginning of a program the sessions would dedicate more time to establishing routines and health and safety procedures. Assessment and advice concerning your local woodland or your school grounds as a potential place for Forest School.